From 31 October 2011 to 3 November 2011, the Supreme Court heard the arguments in what is known as the Client Money Application and handed down its judgment on 29 February 2012, dismissing the appeal of the segregated clients by a majority. 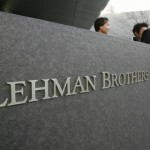 The crux of the application was to identify what money should be pooled for distribution to Lehman Brothers’ clients. The Supreme Court’s majority decision interpreted the client money rules such that the un-segregated clients are able to share in the client money pool with the segregated clients (with a potentially large deficit), rather than having to resort to the unsecured creditor pool, which would have involved the painstaking process of attempting a proprietary tracing claim. The case is striking due to the vast sums at stake and, as a result of the Supreme Court’s decision, the Appellant, whose money was segregated and identified as theirs, may not be able to recover the whole amount due to the pool being diluted by the claims of the un-segregated clients; this illustrates the failure of a regulatory system that was meant to protect client money. In light of this decision, the compliance of financial firms with the client money rules will become increasingly important, as will the oversight by the FSA of such compliance. If this is an apparent victory for “the client”, one must bear in mind a couple of points. First there will be issues and disputes about identifying client money in house accounts that should be added to the pool. This will delay distribution to all. Second, to share in the client money pooled, the Supreme Court ruled that the relevant claimant will have to prove that it had a contractual right for its money to be segregated (even if this in fact did not happen). This will put more emphasis on contractual terms (and in particular on those contractual terms where money deposited is not to be treated as client money like title transfer arrangements). The case relates to an application for direction by the administrators of Lehman Brothers International (Europe) Ltd (“LBIE“) in relation to the determination and distribution of client money under Client Assets Sourcebook of the FSA Handbook (“CASS“). The relevant rules were found in CASS 7. The rules being interpreted for the purpose of this application are the rules as at September 2008, although it is worth noting that CASS has since been substantially amended. To the extent that the judgments at first instance and on appeal deal with rules of interpretation of CASS, those rules will still apply to the CASS in its current form; and the same applies to the extent that the rules interpreted have not changed. CASS 7 seems to form a relatively simple coherent whole to prevent a firm from using client money for its own account and to ensure that clients receive client money back in full upon the insolvency of a firm. To this effect CASS 7 (a) requires client money to be identified and promptly paid into accounts segregated from the firm’s own account; (b) provides that client money must be held on trust for the clients and (c) provides that upon failure of a firm (such failure constituting a primary pooling event or “PPE“), all client money is pooled into a client money pool (“CMP“) and distributed to those entitled to it (pari passu in the event of a shortfall). In the wake of the collapse of Lehman Brothers and the administration of the English entity (LBIE), it became clear to LBIE’s administrators that there were problems with the application of CASS 7 on a “truly spectacular scale” (to paraphrase Mr Justice Briggs). LBIE failed to identify certain sums received as client money, in particular where the relevant clients were its own affiliates. LBIE was applying the “alternative approach” to client money. Under this approach, permitted under CASS, all client moneys were received into, and paid out of LBIE’s own account; but the movement to segregated accounts would be done by way of a daily internal reconciliation. Reconciliation occurred every morning on the basis of the client money movements until close of business the previous day. This meant that the last reconciliation done before the administration started on Monday 15 September 2008 was carried out in the morning on Friday 12 September 2008 on the basis of the position as at close of business on Thursday 11 September 2008. All client money received or to be paid out after such date was still in LBIE’s own house account when the administration started. 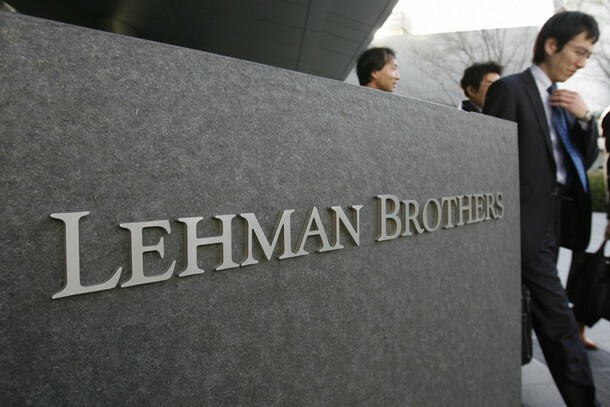 The Lehman Brothers entity with whom LBIE deposited a large amount of client monies (Lehman Brothers Bankhaus AG) was itself in liquidation in Germany. There were also issues resulting from under-segregation and over-segregation, buffers set aside pending determination of client entitlement, continued trading in relation to some assets for a few days after PPE and the fact that client money was received and held in a number of currencies. The sums involved are vast, ranking in the billion of pounds. It is therefore crucial for both clients and general creditors to know what money qualifies as client money to be pooled and reserved for distribution to clients and what the basis for sharing client money is. The decision on these matters will greatly improve or diminish amounts available to each category. The case was heard at first instance in the Companies Court before Mr Justice Briggs. Before analysing the issues at stake, Mr Justice Briggs considered the legal framework of CASS 7 in the context of implementing the MiFID Directives (Markets in Financial Instruments Directive (2004/39/EC) and the Commission Directive 2006/73/EC dealing with the implementation of MiFID). CASS7 had to be interpreted so as to give effect to their provisions, and in particular the objective of protection of investors’ interest in their client money. Having reviewed the terms of the Directives, Mr Justice Briggs came to the conclusion that to achieve this latter objective, the Directives required Member States to impose organisational requirements on firms to minimise the risk of client money being mingled with a firm’s own money. It did not require the Member States to provide a legal safety net when the risk materialised. So the Directives were neutral on how misfortunes should be shared. As a result they could not help to interpret those provisions of CASS dealing with such matters. Mr Justice Briggs looked then at 8 main issues before addressing each of the numerous queries of the administrators by reference to his findings. The 8 issues were as follows. 1. Does the statutory trust created by CASS 7 take effect upon receipt, or only upon the segregation, of client money? 2. If the statutory trust is created upon receipt, what duties or restrictions are imposed by the rules, or by the general law, upon the use that the firm can make of client money while mixed with its own money pending segregation under the alternative approach? On this matter, the MiFID Directives were helpful as they require that proper arrangements are made to separate client money: a trust is part of such arrangement. In light of this, irrespective of which approach a firm used in the treatment of client money, Mr Justice Briggs found that the statutory trust in CASS 7 was imposed when the client money was identifiable in the firm’s hands (that is upon receipt if the money is received from the clients or when it is appropriated out of the firm’s resources to meet a client money obligation). The alternative (being to wait for actual segregation) would mean, especially for those firms using the alternative approach, that firms could treat client money as their own whilst it was not segregated. This would defeat the purposes of the MiFID Directives. Mr Justice Briggs found that, even if the alternative approach enables a firm to mix its own money with client money until reconciliation, it does not follow that a firm may use all the funds for its own purpose (even if CASS 7 is silent on this point). General law requires that the firm must deal with the house accounts where client money is deposited in such a way that clients’ rights in relation to client money in those accounts are not put at risk and that client money is not used for the firm’s own purposes. Mr Justice Briggs provided some examples of protective mechanisms: ensuring there is always a minimum amount in the relevant account equalling client money deposited or creating a segregated buffer, but he left to firms and their auditors the decision as to the best mechanisms to adopt. There was an argument that the decision on when the statutory trust arose and what money would be pooled on failure of the firm should use the same determining criteria: one could not on the one hand decide that a trust occurred on receipt (irrespective of segregation) and on the other decide that only segregated money could be pooled for distribution to clients following failure of a firm (see below issue 3 regarding pooling). If so, the situation of the clients with unsegregated client money was left in a “black hole”. Mr Justice Briggs recognised that it was arguable that a “black hole” could be created, but the decision as to when a trust arose and what money should be pooled upon failure of a firm were two separate issues that required the application of different criteria. The pooling rules had different objectives to the statutory trust rules. The main objective of the pooling rules was to achieve swift distribution and as such could justify treating clients differently depending on whether their money was segregated or not and irrespective of whether their money was otherwise held on trust. The statutory trust rules made no distinction as to what approach to segregation (immediate segregation or alternative approach) a firm used and only an interpretation of a trust on receipt could achieve the uniformity of treatment set by the rules. Lastly, the black hole issue would only be relevant if there was unsegregated client money (i.e. to the extent client money payment into house accounts exceeded client money payment out of house accounts). This was a mere factual eventuality that could not justify amending the statutory trust rule. So, the determination of the trust issue was not dependent on the decision regarding what client money should be pooled upon the failure of a firm. 3. Does the client money pool (the “CMP“) include all identifiable client money held by LBIE as at PPE, whether or not actually segregated? If not segregated, how is it identified? The problem here was created by the fact that CASS requires client money on all “client money accounts” to be pooled together, but does not define what constitutes a client money account. Mr Justice Briggs started from the principle that not all client money is to be pooled together, only that held in client money accounts. If as a result of a firm’s arrangements, client money was not segregated, whether through a failure or otherwise, following Mr Justice Briggs initial finding, it was not the aim of the MIFID regime or CASS to offer protection to the client whose money had not been segregated. MIFID only dealt with setting out relevant organisational arrangements to mitigate the risk and CASS’s objective on insolvency was swift recovery. So, although the statutory trust was imposed from receipt of client money, it did not necessarily follow that client money in a firm’s house account and client money in segregated accounts should be pooled together. Allowing client money in mixed funds to be pooled would not practically achieve the purpose of swift recovery as difficult issues of identification of such money would arise. Therefore, on the ground that it would assist the timely distribution of the CMP (which is one of the objectives of CASS), Mr Justice Briggs found that the CMP should only be constituted of segregated client money only. 4. If it was decided in relation to issue 3 that not all money held on trust was to be pooled, what provisions do the CASS rules or the general law make in relation to identifiable client money which is not part of the CMP? 5. Do the rules or the general law require or permit a shortfall in the CMP as at PPE to be topped up, either from other non-pooled identifiable client money, or from the firm’s general assets? In relation to the first point, Mr Justice Briggs held that the statutory trust imposed on client money from the moment of receipt meant that a client whose client money was in a house account should pursue a proprietary claim in relation to such money. In relation to top-up obligations, Mr Justice Briggs found first that CASS could not impose an obligation to top up the shortfall of client money with the firm’s own fund. This would infringe the insolvency principle that, on insolvency, the firm’s own funds are to be distributed between its creditors pari passu (subject to the existence of valid security or a proprietary claim over specific assets). Neither should identifiable client money in house accounts be used to top up the CMP. It was illogical to imply a top-up obligations to correct apparently adverse consequences experienced by unfortunate clients whose money was not segregated after having established that only segregated money should be pooled. The apparent lacuna or “black hole” affecting clients with unsegregated client money was filled by the principle of tracing. Mr Justice Briggs noted that the outcome was not necessarily unfair, as the argument went both ways. A client whose money is pooled shares the misfortune of that pooled money (including the credit loss of the deposit bank). By contrast, a client whose money is still in the house account but perfectly traceable would have a better chance of full recovery of its money. 6. Is the basis for sharing in the CMP the amount which ought to have been segregated for each client (the claims basis), or the amount which was in fact segregated at the last date of segregation (the contribution basis for sharing)? Following on from its previous finding on the constitution of the CMP, Mr Justice Briggs held that, the contribution basis for sharing the CMP was the relevant basis for sharing subject to certain minor downward adjustments (for example where a client was paid his client money after the last reconciliation). 7. Upon what date are the clients’ respective shares in the CMP to be calculated: the PPE or the date for distribution? Mr Justice Briggs found that the relevant date is the PPE. 8. To what extent, if at all, can the firm’s claim against its clients be set off against the clients’ entitlements to share in the CMP? Mr Justice Briggs held that set off could not apply because the claim of the client in relation to client money was a proprietary claim and not merely a personal claim against the firm under contract. A Court of Appeal panel consisting of the Master of the Rolls, Lady Justice Arden and Sir Mark Waller looked at the 8 main issues considered in the first instance judgment (save the seventh issue). They separated the issues in 4 main categories and held unanimously the following. By contrast to Mr Justice Briggs, the Court of Appeal decided that one of the specific aims of the MIFID Directives was not only to require organisational arrangements to be put in place to protect client money but also to ensure maximum recovery of client money on insolvency. So any interpretation of CASS 7 and the general law had to be made to give clients a maximum possibility of recovering their assets. In addition, CASS 7 is a code for dealing with client money but is not a substitute for, or a codification of, the general law. The default rules of the general law of trust may fill gaps and provide additional remedies. The principle of pari passu distribution on insolvency also formed part of the legal background which the court kept in mind. 1. Trust on receipt or trust on segregation? The first instance judgment was upheld on this matter. 2. Are the client monies to be pooled at the PPE the monies in the segregated accounts or all the client monies? The Court of Appeal overruled the first instance judgment on this matter. The Court of Appeal recognised that the MiFID Directives did not provide a clear steer on the matter. However, applying the principle of “equality in equity”, the Court of Appeal held that since there was a single trust created on receipt, the CMP should be constituted by all the client money coming under that trust and no distinction should be made between beneficiary clients whose money had been segregated and those whose money was, unfortunately not. Therefore, a client money account was just an account where client money was held and the CMP should be constituted of all client money segregated in client accounts and all client money identifiable in mixed house accounts. 3. Do clients participate in the CMP if they have claims to the client money or only if they have contributed to the CMP? The Court of Appeal overruled the first instance judgment on this matter. It found first that all the clients should share in the CMP. As to the basis for sharing, the Court of Appeal decided that the basis for sharing in the CMP was the claims basis. This was on the basis of the wording of CASS that required the sharing to be based on “entitlement” to client money. Therefore, each client would have to establish its contractual entitlement to a certain amount. If the regulator wanted the basis for sharing to be how much a client had contributed to the pool, it would have said so. This interpretation also avoided adjustments for example when a client had been paid back some client money paid after the last reconciliation. 4. When does money which the firm owes to a client becomes “client money”? The Court of Appeal held that client money does not include sums due and payable by the firm to its clients but not yet appropriated for that purpose. So if the firm owes money to the client as a result of a transaction, that indebtedness cannot be turned into a proprietary claim until the firm has clearly set aside money for the relevant client. 1. When does the statutory trust arise? The Supreme Court unanimously held that the statutory trust under CASS 7 arises on receipt of client money rather than on segregation of the funds. The Court held that it would be unnatural and contrary to the primary purpose of client protection and to the language of CASS 7.7.2R for the money to cease to be the client’s property on receipt but for it subsequently to become the client’s money again on segregation. Further, this would not achieve MiFID’s objective of the protection of investors’ interest in their client money. In his judgment, Lord Walker stated that the absence of express restrictions on the use of client money when held in a house account does not mean that the firm is free to use it for its own purposes. He also stressed the firm’s obligation to segregate it promptly, and held that CASS 7.3 and general trust law would prevent use of client money for proprietary purposes. 2. Do the primary pooling arrangements apply to client money in house accounts? Following consideration of whether 7.9.6(1)R requires all identifiable client money or just those in the segregated client accounts to be treated as pooled, the Supreme Court held that the primary pooling arrangements apply to client money held in house accounts. Since there were two possible interpretations of CASS 7, the one that provided a high level protection for client money was to be applied and therefore identifiable client money in house accounts was held to be included in the pooling arrangements. 3. Is participation in the pool dependent on actual segregation? Referring to the proper interpretation of CASS 7 and in particular 7.9.6R, 7.9.7R and 7.7.2R, the Supreme Court held that participation in the CMP is not dependent on actual segregation of the client money but on the contractual right to have that money segregated,. Since the scheme of CASS 7 is that all client money is subject to a trust that arises upon the receipt of client money, the rules are intended to protect all client money prior to a PPE. It was held that where there is a choice of possible interpretations, the one that provides a high degree of protection for all clients in the event of a PPE should be adopted. However, Lord Walker, dissenting in respect of this issue, commented that, the majority view of the Supreme Court, in that it resulted in segregated clients having to accept the risk of having the bulk of their beneficial interest divested in order to compensate other non-segregated clients who had no beneficial interest in any identifiable trust property and who the segregated clients were unaware of, made “investment banking more of a lottery than even its fiercest critics have supposed“. The Supreme Court’s decision will have a huge impact on who can get their hands on a large amount of money, and places pressure on firms to comply with the spirit of CASS 7 and to protect client money. Although it may seem that clients will be afforded greater protection under general trust law and the objectives of CASS and MiFID, those clients who have taken extra precautions in order to ensure that their money is properly segregated may find their claims substantially diluted by those who have not. In addition, there will be source of disputes as to how to identify client money in house accounts (the Supreme Court was not asked to rule on this issue) and as to whether individual claimants had contractual rights to have its money segregated. In the future clients will be best advised to closely monitor how their money is handled, that is, not only that their money is segregated promptly and that the relevant firm has systems in place to this effect, but also that the terms of their contract with the relevant firm entitles them to such segregation. As for LBIE’s clients, their claims are still unsettled while the administrators are trying to put into practice both the tracing of client money in house accounts and the calculation of entitlement on the basis of the contracts they entered into with LBIE. On both accounts, the administrators expect that further guidance may be needed from courts and that further litigation may arise. For further information, please refer to the Joint Administrators’ seventh progress report dated 12 April 2012, which can be found here. Leave a reply on "Case Comment: Re Lehman Brothers International (Europe) (In Administration) and Re the Insolvency Act 1986  UKSC 6"